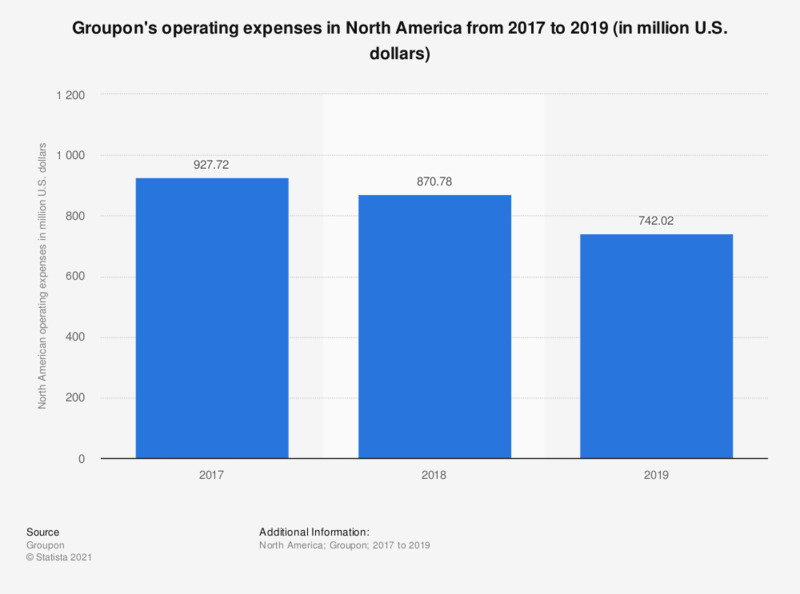 This statistic shows Groupon's annual operating expenses in the company's North American business segment. In 2016, the daily deal website's marketing operating expenses in the United States and Canada amounted to 2.13 billion US dollars. Groupon's North American segment consists of the United States and Canada. Operating expenses exclude stock-based compensation, acquisition-related expense and interest and other income (expense), net, which are not allocated to segments.